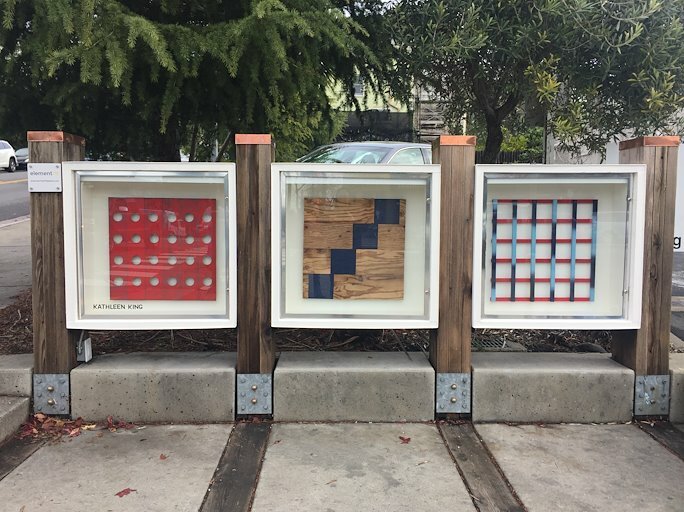 Street-level gallery Element 79 showed my work at the corner of Shattuck + Cedar in Berkeley during January 2019. Currently we live in a society of the precarious. Productivity is no longer just a matter of labor, but affects the formation of the self, blurring the division between personal and professional lives. Persuaded to believe ourselves flexible and autonomous, we experience an isolation that has personal, social and political impacts, and serves the purposes of capital accumulation and social control. In other words, inequality is driving us crazy. 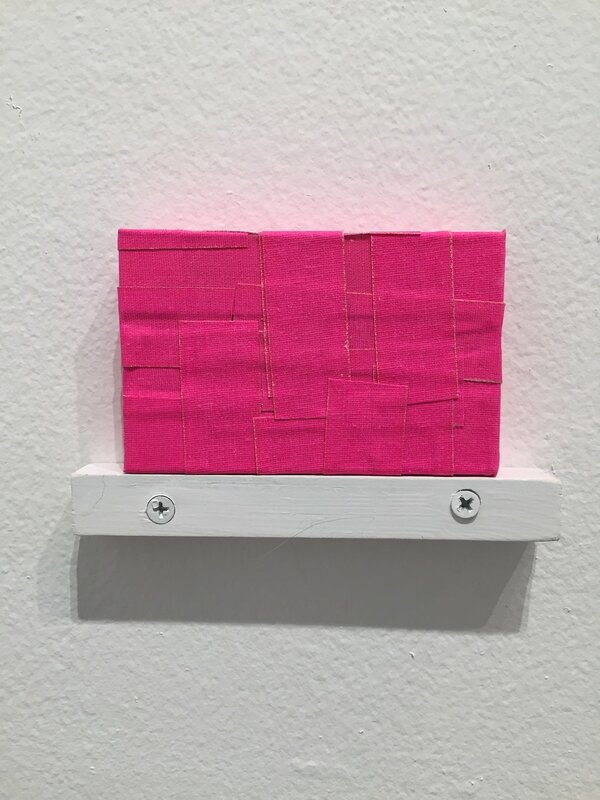 Everyday objects have been collected and wrapped in colored tape, obscuring their identity. 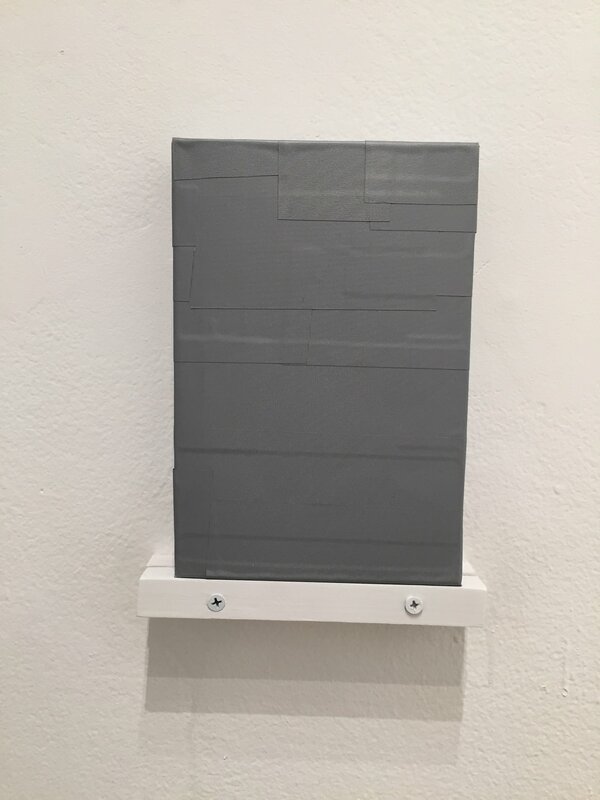 The concealment challenges the viewer to reappraise the objects beneath and the space in which they coexist. 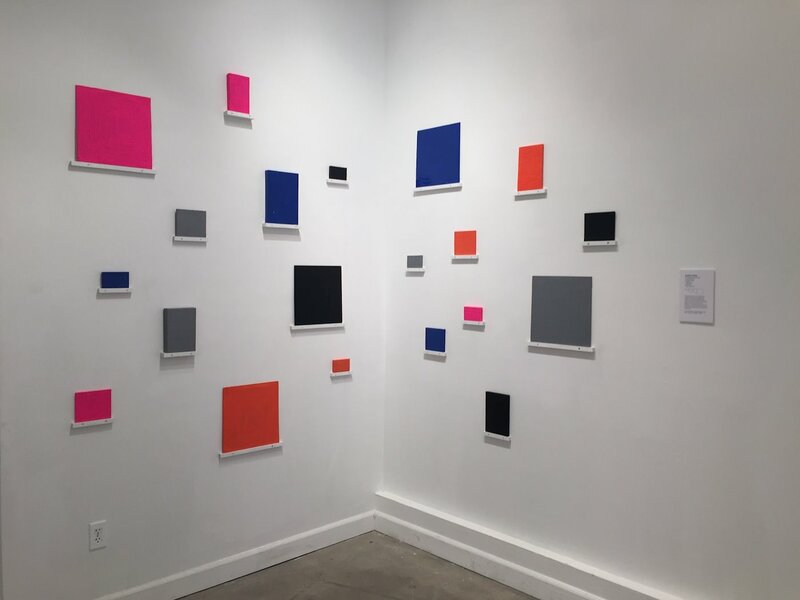 The pieces are displayed on the wall as in a record or bookstore. 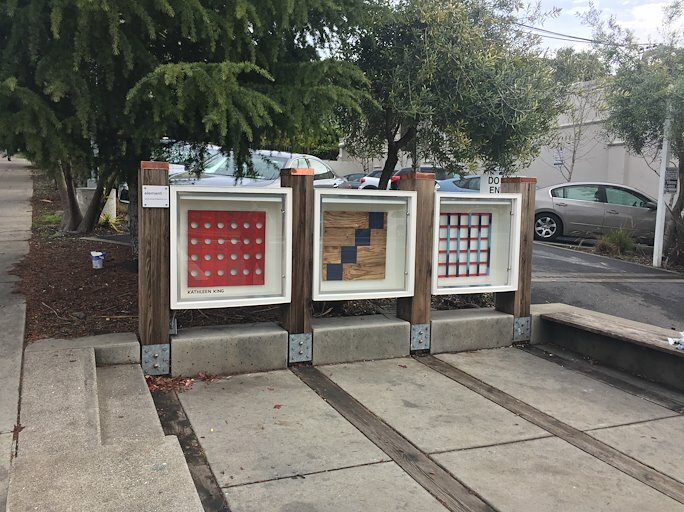 As they interact energetically, they bring ideas about internal and external, seeing and knowing, containment and expression into conversation. Biologists define “carrying capacity” as the maximum population of a given species that can survive indefinitely in a given environment. Carrying capacity is a measure of sustainability within changing conditions. This sculpture questions the capacity of our planet to carry humans into the future. How much “glitter, noise and false promises of consumer-culture idols”, as journalist Chris Hedges puts it, can humans and the earth accommodate? Perhaps we see here the wasted fruits of our labors. 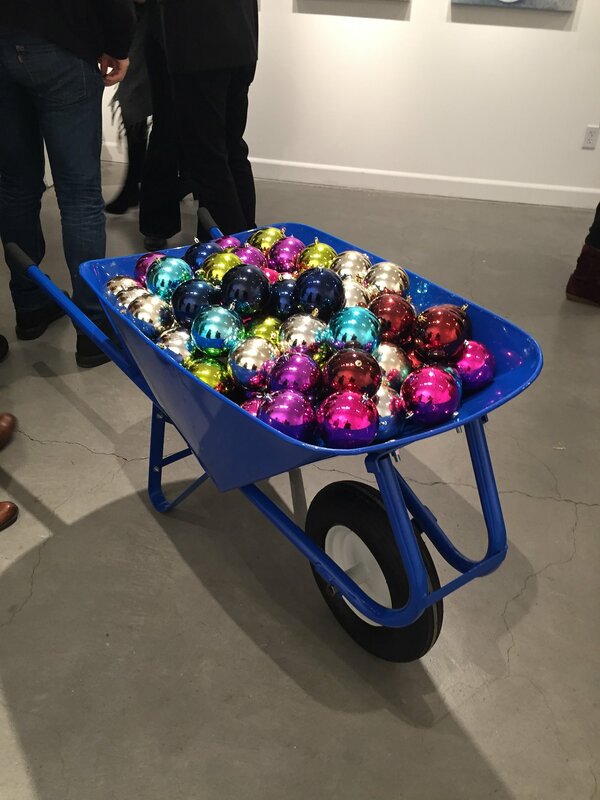 Beautiful shiny things fuel our most obvious desires but how do we satisfy our need for compassion, dignity and community? The lack of attention to our deepest desires creates the particular collective despair and anxiety of our present moment. That low rumble you feel just might be the revolution. 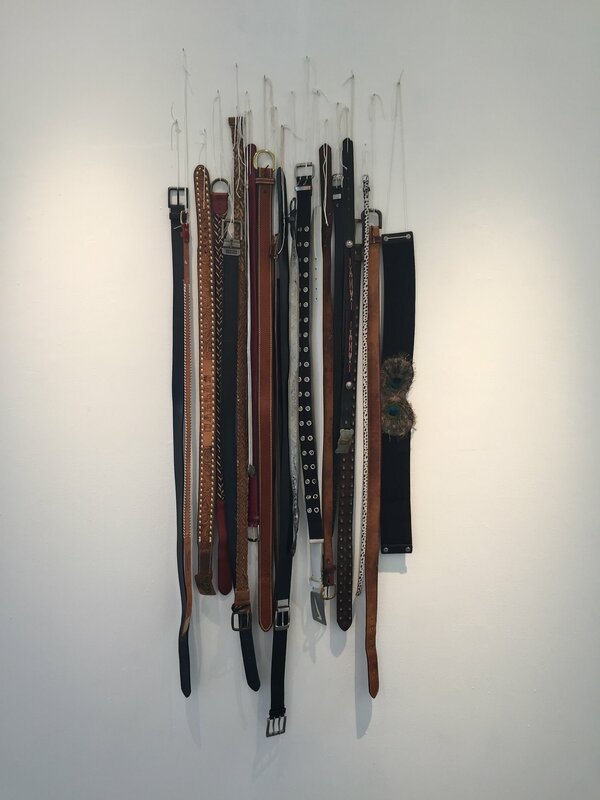 This wall piece is comprised of belts gathered from each artist member of Mercury 20, the artist collective gallery that I am a part of. 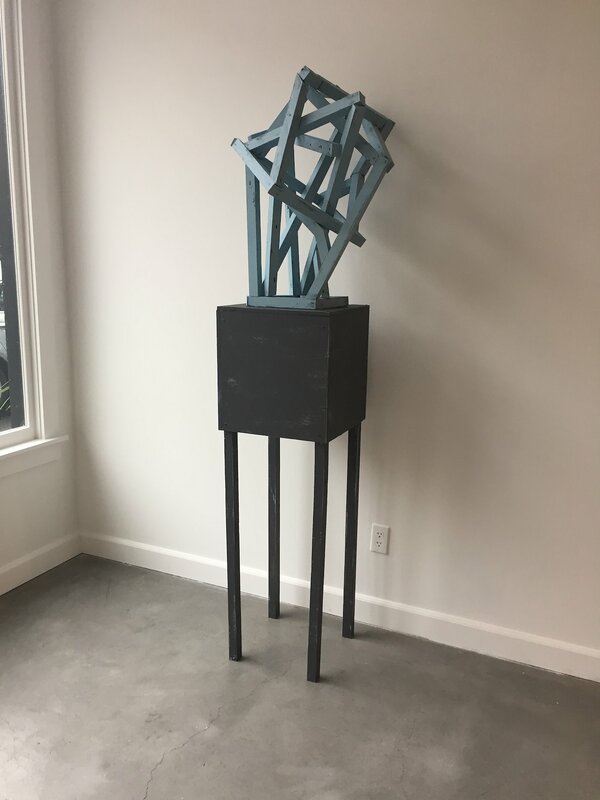 Lately I am looking to make constructions that relate to Solidarity; the unity or agreement of feeling or action, especially among individuals with a common interest; mutual support within a group.